Mekaal Hasan Band, sometimes shortened to MHB, is an international Sufi rock band formed in Lahore, Punjab,Pakistan in 1999 by composer-songwriter, guitarist Mekaal Hasan. The band members have roots in different genres, including jazz, classical music, soul music, and sufi rock, the combination of each member has created a sound which has earned them fans from a variety of quarters. The band achieved mainstream success with its debut album, Sampooran, released in 2004. Its following studio album, Saptak, released in 2010 continued the band’s success. Mekaal Hasan Band won a number of awards and nominations for its recordings, videos and live performances. 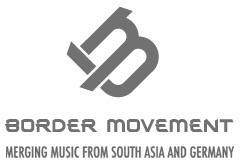 Despite being signed to both EMI and Sadaf Stereo, the band have their own record label, MHB Music, which they use to launch some independent releases and their albums.